Why read about the game when you can watch it? The video below is a recording of our live video stream of the Eagles taking on Hillsboro High School at John Overton High School in the second round of the TSSAA Playoffs. The video below is a recording of our live video stream of the Eagles taking on Gallatin High School at Eagle Stadium in the first round of the TSSAA Playoffs. The video below is a recording of our live video stream of the Eagles taking on Franklin County High School at Eagle Stadium in the last regular season game of the 2018 season. This video begins with the very first play from scrimmage. The video below is a recording of our live video stream of the Eagles taking on Page High School for the 2018 Regional Championship. Play by Play provided by 1580 WLIJ - Rain halted this stream early in the 4th quarter. The video below is a recording of our live video stream of the Eagles taking on Columbia School for an important regional matchup. The video below is a recording of our live video stream of the Eagles taking on Summit High School for an important regional matchup. 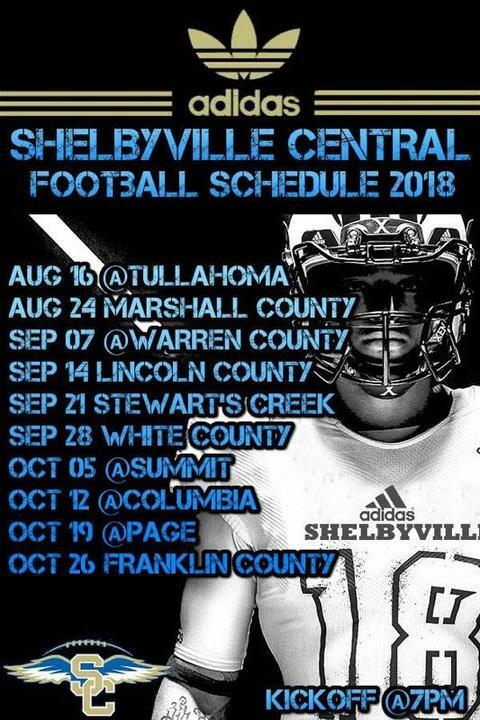 The video below is a recording of our live video stream of the Eagles hosting White County for Homecoming 2018. The video below is a recording of our live video stream of the Eagles hosting Lincoln County. SCHS is getting a face lift for their track at Eagle Stadium. The new track surface as well as other drainage and landscaping projects will be completed soon. Principal Tim Harwell expects the majority of the project to be completed before the first home game as the Eagles host Marshall County on August 24th.